More details are being revealed about the upcoming G11/G12 BMW 7 Series. 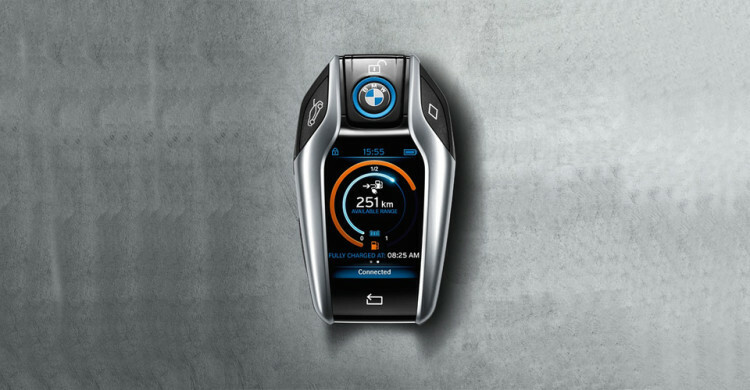 Just two weeks ago we exclusively revealed that the 2016 7 Series will get an i8-like keyfob and the B&W Audio System, and now more information on the standard and optional features of the flagship sedan are coming forward. Along with the previously mentioned Bowers & Wilkins Audio System, the redesigned 7 Series will also feature wireless charging for phones, Wifi Hotspot, new climate packages, high-tech rear seats similar to the one for the driver, iDrive touchscreen and gesture inputs. These new options come once again to confirm that BMW has stepped up their game with the luxury sedan in an effort to properly compete with the Mercedes-Benz S-Class. Lots of updates will be given to the driving experience of the 7 Series. First, customers will have the choice between full-LED highlights and the optional lasers. Second, “Active Comfort Drive” is now part of the adaptive drive options. Furthermore, an Advanced Parking Assist Package will be made available, but details are not known at the moment. What we do know is that the driver can now park his car from the high-tech keyfob. Selective Headlight Beam is another feature coming next year with the G11/G12 platform. With CES 2015 just around the corner, we expect BMW to showcase some of the new cool gadgets at the popular electronics show in Las Vegas.